Having lived the majority of my life in The Netherlands I was used to Mother's Day falling on the 2nd Sunday in May as it does in many countries around the World. But not in the UK... I've lived here almost three years now so I have become used to it but I was always wondering what the reason was for a. a date so different from the rest of the world and also the slightly different name: Mothering Sunday. A few weeks ago I finally learned why as I was leaving through a book about seasonal celebrations: Festivals, Family and Food by Diane Carey and Judy Large. It turns out that Mothering Sunday always comes halfway during Lent (the Christian period of fasting leading up to Easter) and originates from the times when young girls were working in the large houses and estates, away from home. Halfway through Lent they'd be allowed to go home to see their mother and it became known as Mothering Sunday. I also read that they would sometimes bake something impressive to show off the new skills they'd learned while away from home. Great story isn't it? 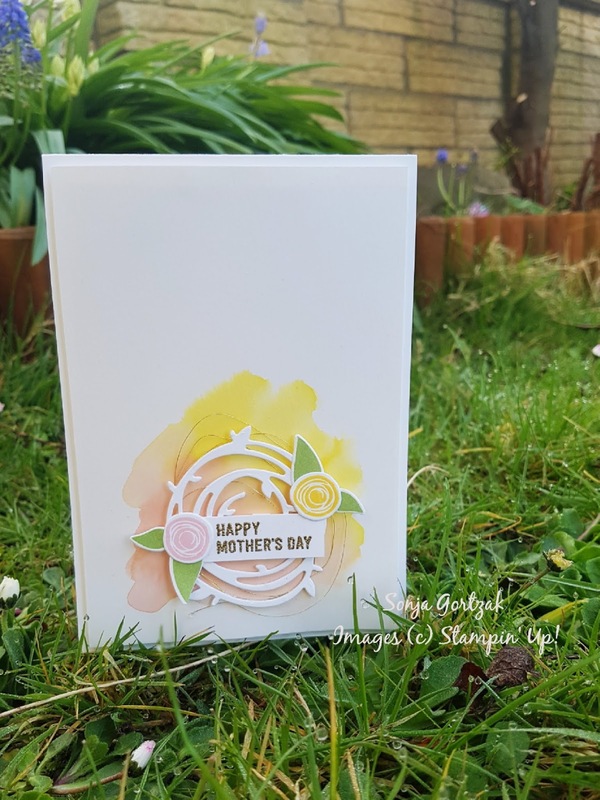 Well, my mother lives in The Netherlands and she will be getting a card in May but I do have a Mother-in-Law living here so I did get to make her a Mother's Day Card. If you follow me on Instagram you'll notice I used a similar design as the Nesting Bird Easter Card I posted there earlier this week. For this card I started by applying two colours of ink onto some Shimmery White Cardstock using an Aquabrush. I chose not to used Watercolor Paper as I really wanted this to be a white card and the watercolor card is always a bit more cream. On top of it I added a bit Gold Metallic Thread, a Swirly Die Cut from the Swirly Scribbles Thinlits Die set and some cut out stamped flowers and leaves from the coordinating Swirly Bird Stamp Set. I heat embossed Happy Birthday in Gold and that was it! So tell me, have sent out or received a Mother's Day card? When do you celebrate this day? Hi! My name is Sonja Gortzak. I love Card Making, Scrapbooking and many other Paper Crafts. I am an independent Stampin' Up! demonstrator in Portishead, North Somerset. This means that I share my love for crafting with as many people as possible. I am available for FREE individual or group introduction sessions as well as specific classes. 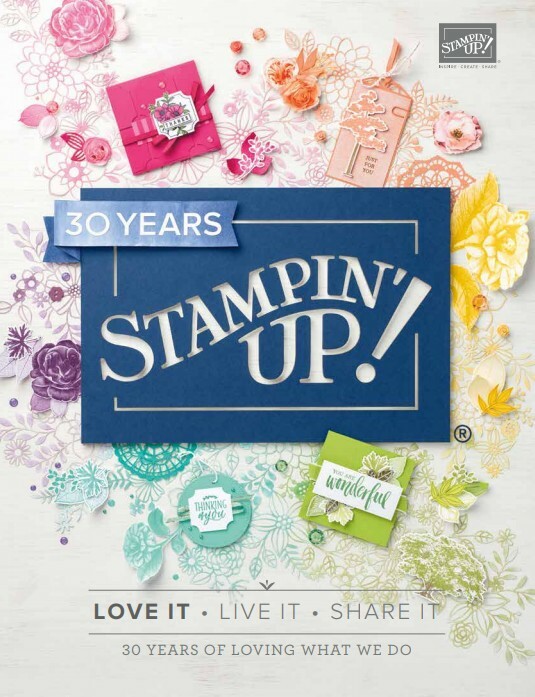 And you can order Stampin’Up! products through me if you live in the UK, Netherlands, France, Austria or Germany. 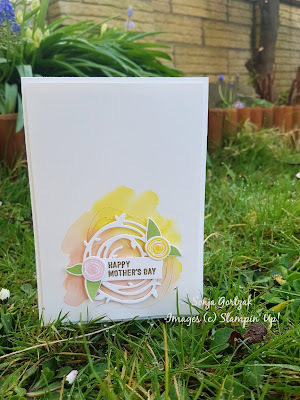 All images using Stampin' Up! art work are Copyright of Stampin' Up!. Simple theme. Powered by Blogger.